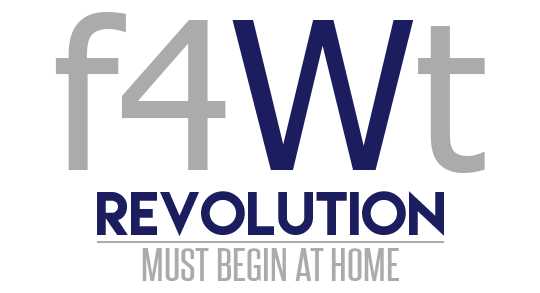 In response to an increasing level of enquiries and kind donations, forward 4 Wiz Trust has proudly launched The f4Wt Gear Exchange. The aim of the Gear Exchange is to re-home unwanted, pre-loved instruments, amps and more in new homes with aspiring musicians who wouldn’t otherwise have access to the equipment to pursue their musical career. The Gear Exchange is open to all, but preference is given to those at demonstrable disadvantage, those from disenfranchised communities within Rushmoor and Hart and those in youth groups or under social care in our local area. Maybe you have more guitars than you can feasibly play. Maybe you have an amp that currently thinks it’s a coffee table. Maybe you’ve just cleared out the loft and found those teenage dreams of rock stardom buried under boxes. If you think that an aspiring musician could benefit from gear that you no longer need, then please do get in contact. Gear needs to be in sound working order and in fairly good nick – no broken necks, splits or blown speakers thanks (and obviously with all necessary power cables or anything the equipment needs to actually work)! Let us know what you have with as much detail as possible – a nice story to go with it for the new owner is also a nice touch… f4Wt will then contact anyone we know that is looking for what you have to donate and will liaise with you and them to find a mutually agreeable time for pick up. f4Wt operates from a laptop squeezed between the kettle and a bowl of decaying fruit in Karina’s tiny kitchen, alas we have no room to store your kind donations, so please bear with us while we find a new home for your stuff. In the meantime you can congratulate yourself on being a fine, generous human being who encourages artistic expression and supports new musicians making new music, because it’s true and we love you for it. In need of something donated? Whether you are a budding guitarist without a guitar, a bassist without an amp or overdraft but with a gig coming up, or a youth worker who knows someone who could benefit, then please get in contact. Let us know who you are, where you are and what you need in as much detail as possible. Whilst we would never pry into your personal finances, please be aware that if you could actually afford what you are asking for, then there is always someone that can’t, so we leave it up to you and your conscience not to ask unnecessarily so that those in a more disadvantaged position can benefit. If we can’t immediately match you to any gear being offered, we’ll keep you on our waiting list until something comes up. If you manage to get something in the interim, then please do let us know so we can rehome the gear with someone else who needs it. When we’ve matched you, then we’ll be in contact to let you know when and where you can pick it up. Then we’d love you to keep in contact so we can hear your tunes, the donor can hear their old gear being loved again, and we can all live together as a loving, caring musical community. Nice isn’t it? Malcolm loved music, he REALLY loved music. Sadly he also had cancer. Malcolm was our friend. After his passing his guitar and amp were donated to f4Wt and re-homed with a young, budding musician in the care system within our community. Malcolm’s family’s generosity has meant that the guitar that he hugged whilst listening to his favourite records is now being played, helping a new musician take their dream to a realisation. What a legacy.